On Earth -1, Superman suddenly became murderous with no discernible reason. The world's heroes held out hope that they could possibly cure Superman or break through to the man they believed he was. After weeks of this, Superman murdered his wife, Lois, and Batman had decided to stop his former friend. Ultimately, in resignation and betrayal, he infected himself with a strain of the Doomsday virus. Using his newfound abilities, Batman proceeded to beat down and kill Superman. After this, he was approached by the Batman Who Laughs. 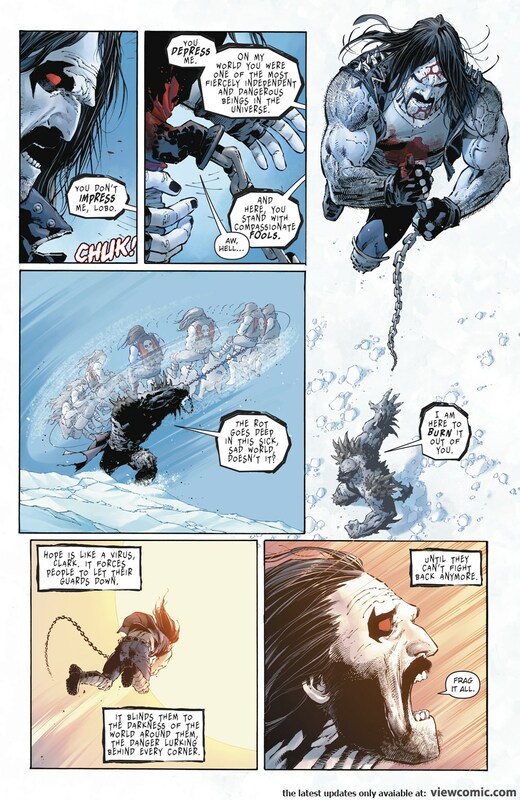 The leader of the Dark Knights convinced him to join Barbatos' invasion of the Multiverse by offering the opportunity to "save" it from Superman. Intelligence: Ultimately, should be comparable to his Earth 0 counterpart. Stated that he could rebuild the Cosmic Tuning Fork after destroying it. Weaknesses: The Doomsday Virus has altered the Devastator's mind, causing him to revel in death and destruction. However, the Devastator's actual intelligence seems undiminished as he is still capable of complex thought, can be reasoned with, still possesses emotions and is capable of rebuilding complex machinery. The Doomsday Virus' effects can be delayed slightly if the infected has been exposed to Superman's excess solar radiation for long periods of time. 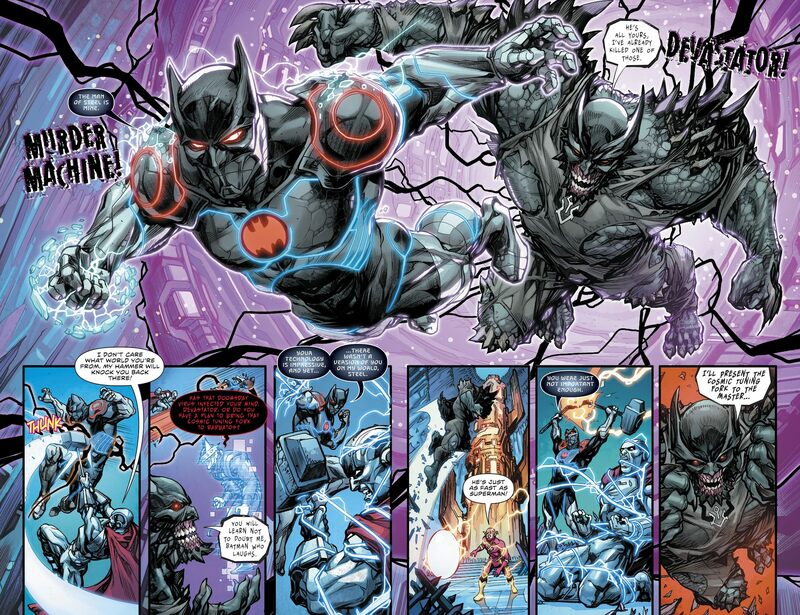 Due to the Dark Multiverse's citizens vibrating at an opposite frequency to Nth Metal, his body is badly damaged upon contact with it, and can also be heavily injured or even killed by large amounts of positive energy. Doomsday Virus: The Devastator is capable of spreading the Doomsday Virus, which transforms its victims into versions of Doomsday. Devastator does this in his belief that this will strengthen the world and give people the power needed to "save" them from Superman. According to the Devastator, the infection only takes minutes to complete and that each of the infected would be capable of killing Superman. Bone Protrusions & Manifestations: Like the original Doomsday, the Devastator is covered spikey bones protruding from his body. He is capable of using the jagged spikes on his fists as weapons. He is even capable of creating such material from the ground around him. Transformation: Devastator has shown the capability to transform back and forth between his human and Doomsday states at will. Why is The Batman Who Laughs the only Dark Multiverse Batman linked on Batman Profiles?